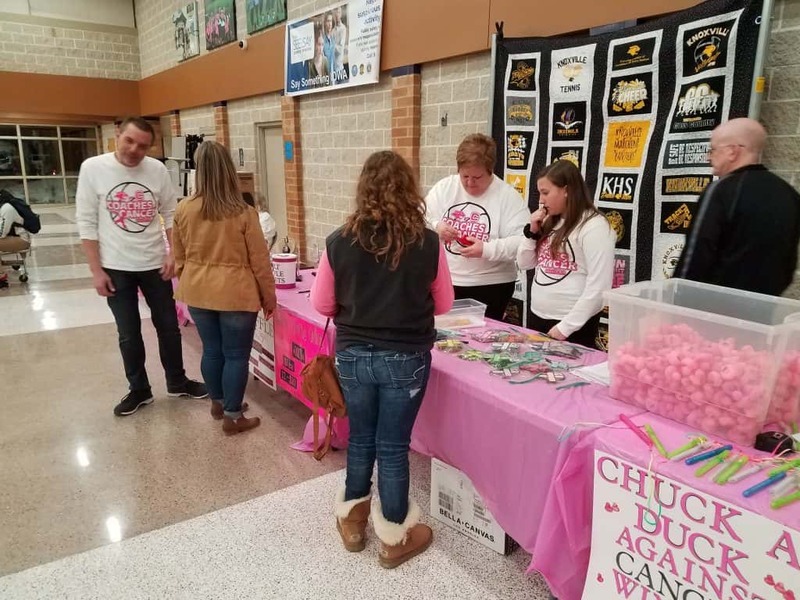 This year’s Coaches vs. Cancer event at Knoxville High School finally came off this weekend, after a fashion; but the change in plans didn’t affect the atmosphere, and plenty of people still turned out to support the cancer fundraiser by the Panthers. After the scheduled doubleheader with Chariton was called off for the third time on Thursday, organizers had to make do with the two rescheduled games played over the weekend. 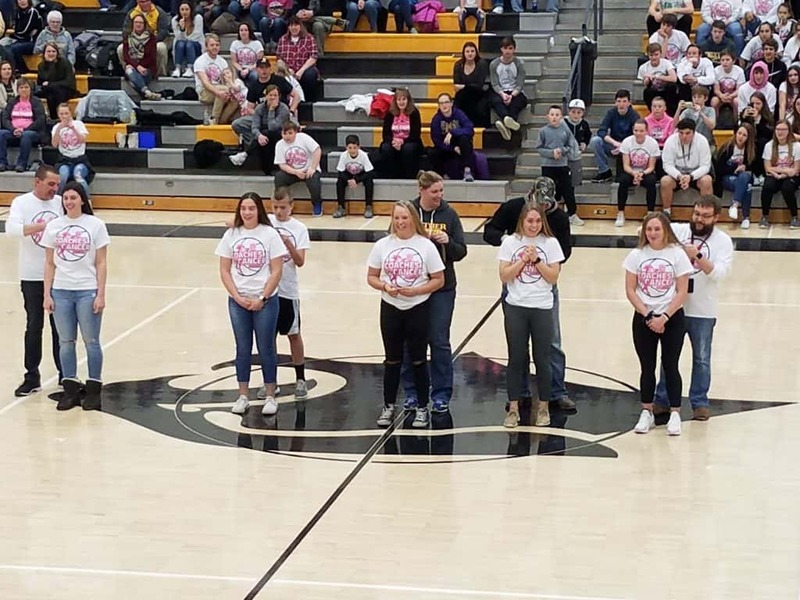 The girls took the court on Friday night against Van Meter wearing their special pink uniforms; then the main fundraising events took place on Saturday night during the boys game against Grinnell. Angie Uitermarkt and her husband, girls basketball coach Jim Uitermarkt, have scrambled over the past few weeks to get everything ready, and then to adapt the schedule due to multiple weather cancellations. She tells KNIA/KRLS News they’re grateful for the many people who came out to support them in spite of all the last-minute changes. “We’re super-excited about the crowd that’s here tonight, and again Knoxville comes together for a great cause…with all the cancellations, you just didn’t know what to expect, but you never doubt the town of Knoxville,” Uitermarkt says. 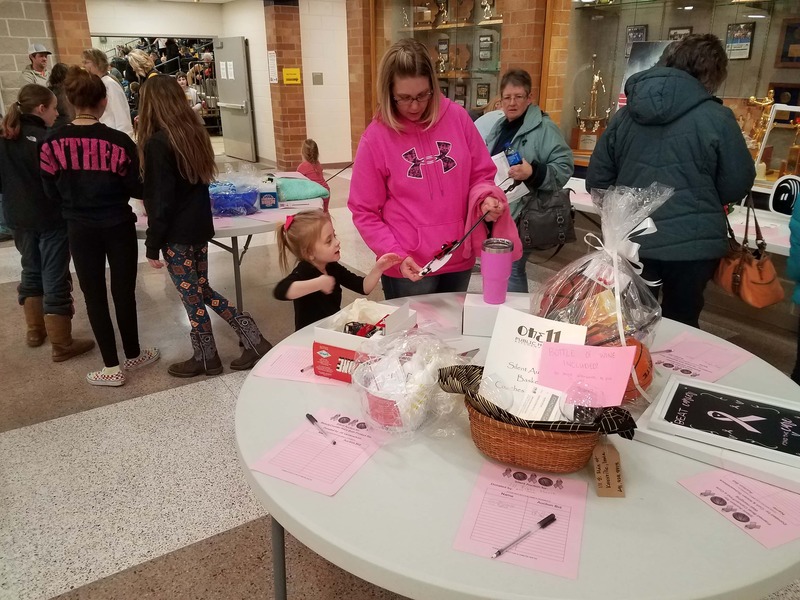 The evening featured the annual silent auction in the high school commons, as well as the 46 second sprint; students raced through the crowd to collect donations, to recognize the fact that an Iowan is diagnosed with cancer every 46 seconds. Five classmates, some of whom are on the girls basketball team, followed through on their vow to cut their hair and donate it to a charity which provides wigs to children who have lost their own hair; five raffle winners got the opportunity to do the cutting. Other received donations were officially announced during the evening; the Cancer Run last fall brought in $16,534 while the 4-H Friendly Guys and Gals soup supper — itself postponed twice before it finally happened on the third try — raised $1,617. 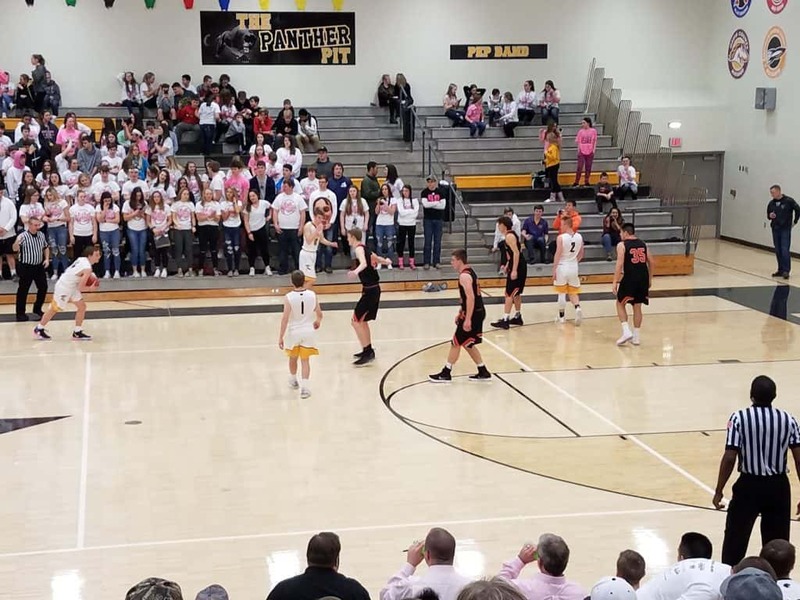 But the games themselves didn’t go Knoxville’s way; a sluggish start on Friday night saw the girls lose to Van Meter 60-48, while the boys comeback try failed as they lost to Grinnell 68-63. A grand total for donations will be announced within the next week or two.